I had never looked at it this way! How intriguing--I'll have to think about it more. I have to admit, I'm a bit partial because I adore dogs and it kills me that I cannot have one. LOL. I can't help myself. I'm more of a cat person myself (though I'm not big on animals overall) and did have to ask myself if I'd feel differently if it were a cat show, heh! Fascinating thoughts. I work in a vet's office, but usually if you see a dog here that is very coiffed, you can bet the owner will be as well. 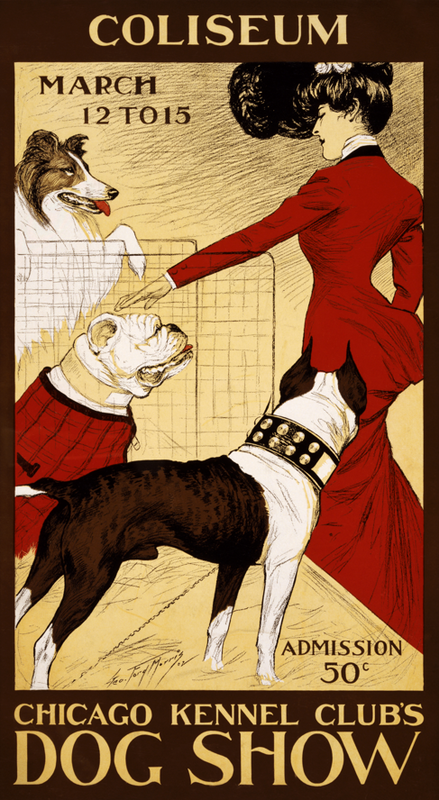 It's interesting that in "real life," it's often easy to match dogs with their owners (a fun exercise at the dog park! ), whereas it seems more difficult to do so in the dog show arena. Anne, I'd always wondered if there was truth to that idea that pets and their masters often "match" (I don't see animals enough to really tell). Ha! How funny that there is. 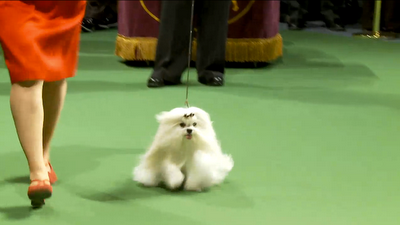 If you've never seen Best in Show, I would recommend it. Christopher Guest isn't looking at dog shows from quite the same angle, but it's close enough that I think you would find it funny. I hope so, anyway. Carol, I LOVE "Best in Show"! Hilarious stuff. Catherine O'Hara is brilliant in it. I think I'm due for a rewatching--thanks for the reminder. This is a very interesting post, and I hadn't ever looked at shows this way. I agree with the comment above and say you should give "Best in Show" a try. After watching a real show, you can't watch that movie and not laugh. Thanks for this post, it gave me something to think about! Frank, I saw the movie before I'd ever seen a dog show, so in my head all the handlers were like the characters, ha! I think I'd appreciate the film even more now.